We all know what happened on 9/11, the day the world changed. Or do we? The Conspiracy Files investigates the growing number of conspiracy theories surrounding the 9/11 attacks. Incredibly some believe the American Government allowed or actively helped the attacks on the World Trade Center and the Pentagon. 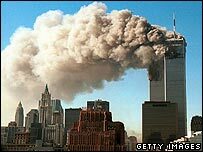 Those who question the official version believe the World Trade Center buildings were actually demolished by explosives; others ask why there was so little damage to the Pentagon's outer wall if a plane really had hit it. And why was America so unprepared when terror attack warnings had been received? The Conspiracy Files travels across the United States to investigate, speaking to eye witnesses and tries to separate fact from fiction.